Stegastes diencaeus (Jordan & Rutter 1897), the Longfin Damsel. Tropical west Atlantic. To five inches in length. Occasionally imported and sold as juveniles. Adults an overall brown with dark margins on all scales. An adult in Cozumel. 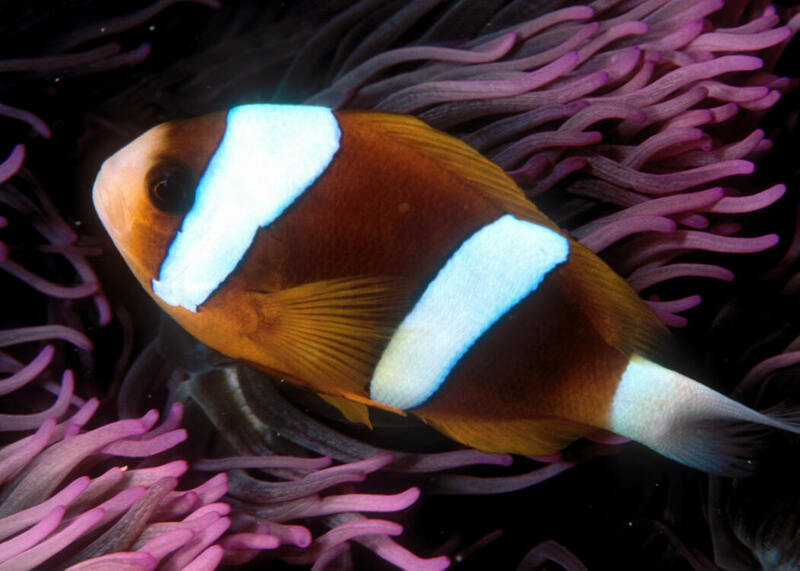 Amphiprion akindynos Allen 1972, the Barrier Reef Anemonefish. Great Barrier Reef and Coral Sea. To five inches long. Similar to Clark's Clown but has wider white bars and more consistent dark brown body color. 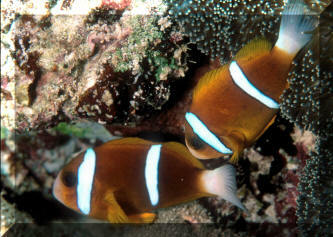 In a Heteractis crispa symbiont off of Heron Island, GBR, Australia. 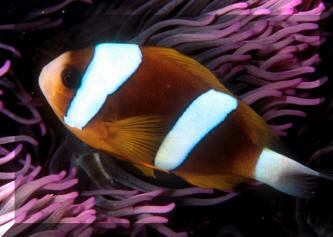 Amphiprion akindynos Allen 1972, the Barrier Reef Anemonefish. Great Barrier Reef and Coral Sea. To five inches long. Similar to Clark's Clown but has wider white bars and more consistent dark brown body color. 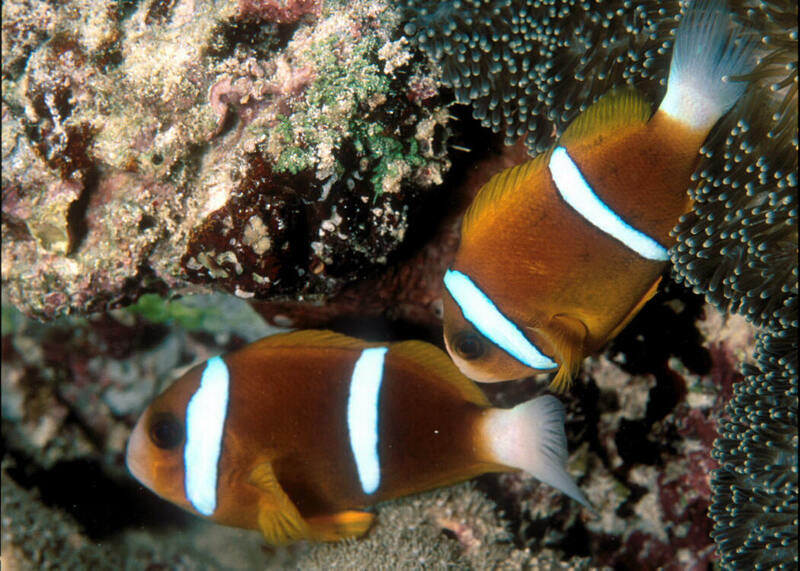 A pair off of Heron Island, GBR, Australia.